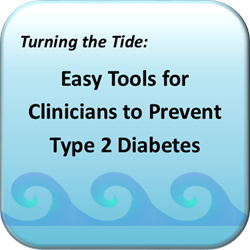 This activity is designed for physicians, residents and medical students who are looking for education on pre diabetes and Type 2 diabetes. This activity has been planned and implemented in accordance with the accreditation requirements and policies of the Accreditation Council for Continuing Medical Education (ACCME) through the joint providership of the Minnesota Medical Association and the Twin Cities Medical Society. The Minnesota Medical Association (MMA) is accredited by the ACCME to provide continuing medical education for physicians. The information provided during these CME activities is for continuing education purposes only and is not meant to substitute for the independent medical judgment of a healthcare provider relative to diagnostic and treatment options of a specific patient’s condition.